Our family loves movies – but when it comes to Disney movies – Well, they are our absolute favorite! My husband and son have been especially excited for the release of COCO as they are both members of South Philadelphia Stringband and their prize winning New Years Day Performance in the 2016 Mummers Parade was a Mexican/Day of the Dead theme. Ever since they heard this film was being released, they have both been eagerly following along and I cannot tell you how excited we are to be attending this week’s screening in Philadelphia! Disney Pixar’s COCO opens in theaters November 22nd! Be sure to follow along on Facebook, https://www.facebook.com/DisneyPixar, Twitter, https://twitter.com/DisneyPixar, and Instagram, https://instagram.com/DisneyPixar for all of the latest updates! 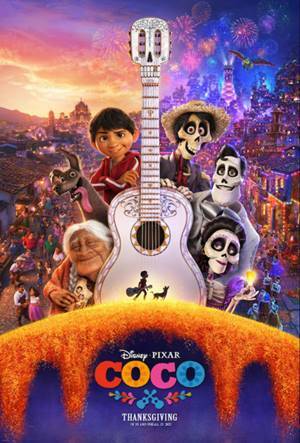 Lucky for you – This Thursday evening there is going to be a very special exclusive invite only Disney Pixar’s COCO Screening at the Ritz East in Philadelphia and I have 5 sets of (2 tickets each) to give away to 5 very lucky Delco Deal Diva Readers! 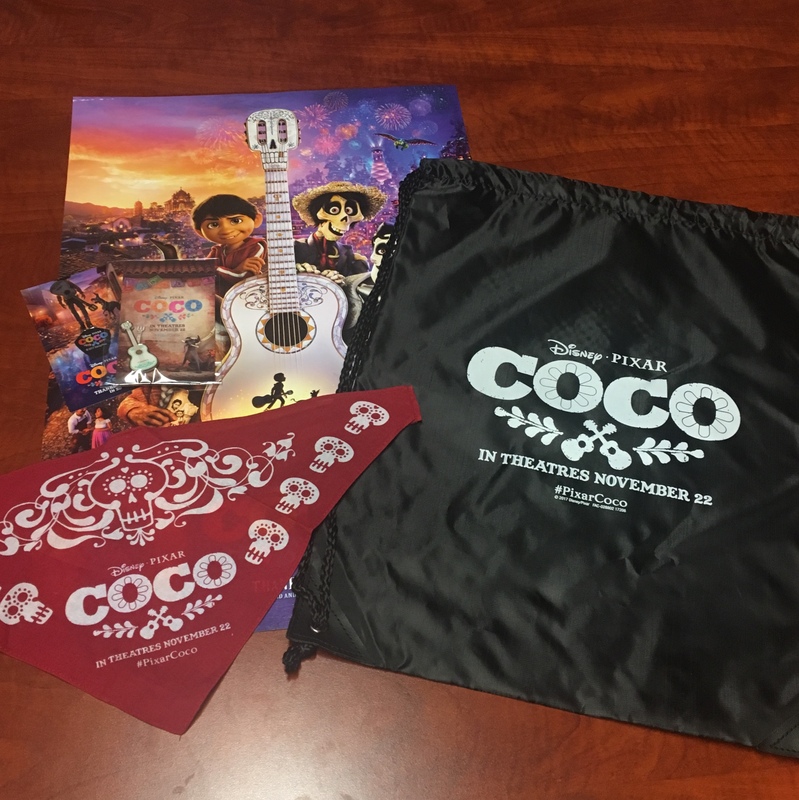 Each of these 5 readers will not only receive reserved seating for the movie for themself and a friend, but they will also receive a special prize pack at the premiere, which will include a COCO cinch backpack, mini poster, pet bandana, guitar pick, and guitar pin! For your chance to win two reserved seats to this Thursday’s screening at 7:00 PM at the Ritz East in Philadelphia (5 winners will be selected to win 2 seats each), simply enter via the easy Rafflecopter form below. Winners will be selected on Wednesday. Please be sure to check your email on Wednesday as this giveaway will have a quick turnover and winner will have a very short window of time to respond and confirm attendance. Good Luck! I think I would bring my 6 year old or my son! Would love to bring my seven year old son, looks like a great movie! “I would bring my 11 year old son! He would love this! “I love all Disney and Pixar movies! “I can’t wait to see this one! Looks awesome . . . Me and my son would love to see it. Toy Story is our favorite!!! My nephew, he will love this! And so will I! Big kid at heart! And I’d say classically the “Toy Story” movies but also a big fan of the more recent “Inside Out”!